Some word puzzle chestnuts just won’t go away. Talk to puzzle solvers long enough and GEGS (Answer: Scrambled eggs) and HIJKLMNO (H to O; Answer: Water) are bound to turn up and be cited as “classic” cryptic clues. I think for some solvers who care little for surface or wordplay and just treat each clue as a puzzle to be worked out, such clues do represent the cryptic genre. I see such things as novelties, a bit of fun, and totally appropriate on a trivia night or as a dinner party distraction, but IMO they have no place in a professional cryptic crossword. Why? They simply miss the cryptic point. No definition, no way of confirming the answer, and no cleverness. Such “clues” are a dime a dozen: many words and phrases can be turned into these types of cryptic clues with just about no effort. ABG – mixed bag, THREA – change of heart, ESARHP – turn of phrase etc etc. These do nothing for me as a setter, and so I don’t use them. Recently in Alan Connor’s blog he mentioned ? (1,6,3,1,4) (Answer: I haven’t got a clue) which every setter would clue the same way due to its nature and is therefore just boring; what about E? (13) = SENSELESSNESS (SENSE minus NESS), clever or just plain wrong? Time to banish these from proper cryptics. What do you think? Yes! So glad you don’t like these clues either. I find them frustrating. If you’re not on the same wave length as the setter you really have no definition to help find the answer. Thanks for being more professional. 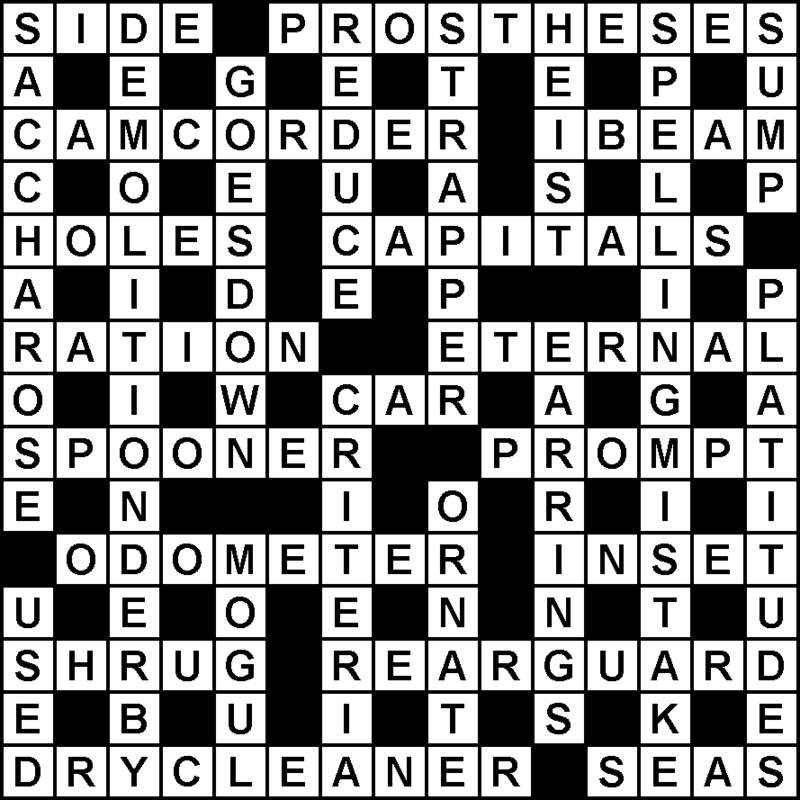 Whether there’s any cleverness involved in some of these clues is debatable, but I think you’re right that, fun word puzzles though they may be, they don’t really belong in a cryptic crossword.